In 2014, Yacht Club Games released Shovel Knight, a delightfully retro action platformer starring a knight wielding a shovel as a weapon. In 2015, the developers released a free expansion entitled Shovel Knight: Plague of Shadows, offering a brand new campaign starring Plague Knight, a character with an entirely different set of moves that completely altered the way in which the game was played. This year, the developer is working on a new campaign set to star Specter Knight, another of the original game's bosses. 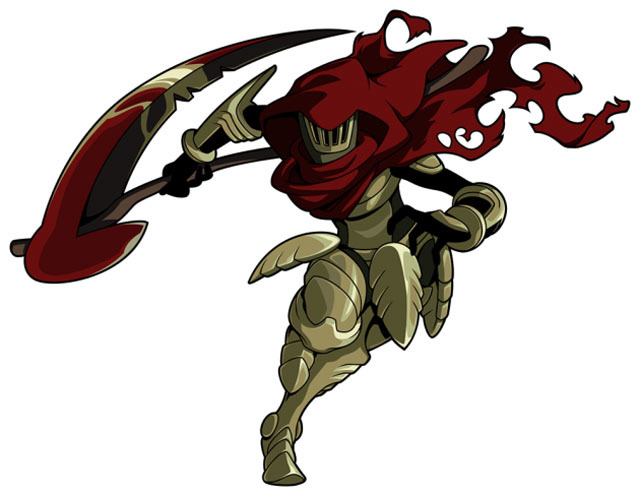 Instead of a shovel or potions, Specter Knight wields a scythe that he uses to slice through baddies with more speed than his former counterparts. He can also hop into the air and perform a downward slash or an upward slash, allowing him to jump and then continue to rise upward with his following strike. Lastly, Specter Knight is able to run directly up vertical surfaces for a limited time, allowing players to reach new areas, provided they don't run out of steam and fall back down. There is currently no official release date for the Specter Knight campaign, but it will be free to anyone who owns the original game, which is available for practically every modern platform, including PC, Mac, Linux, PS4, PS3, Vita, XB1, Wii U, and 3DS.